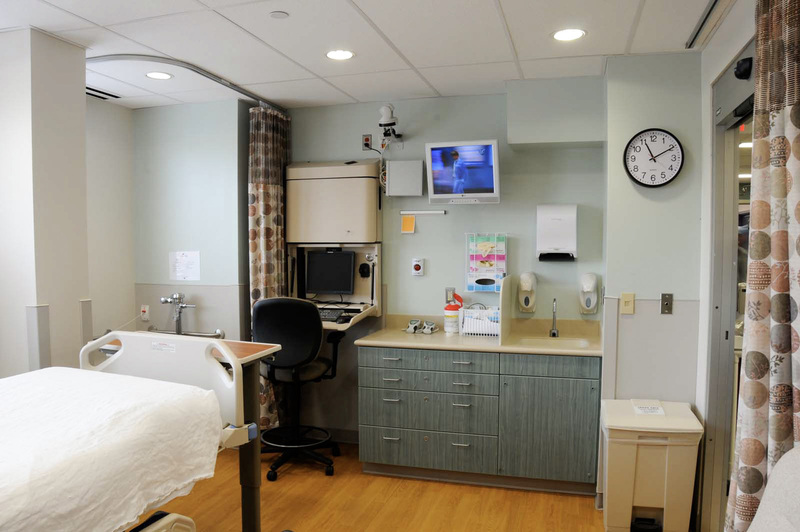 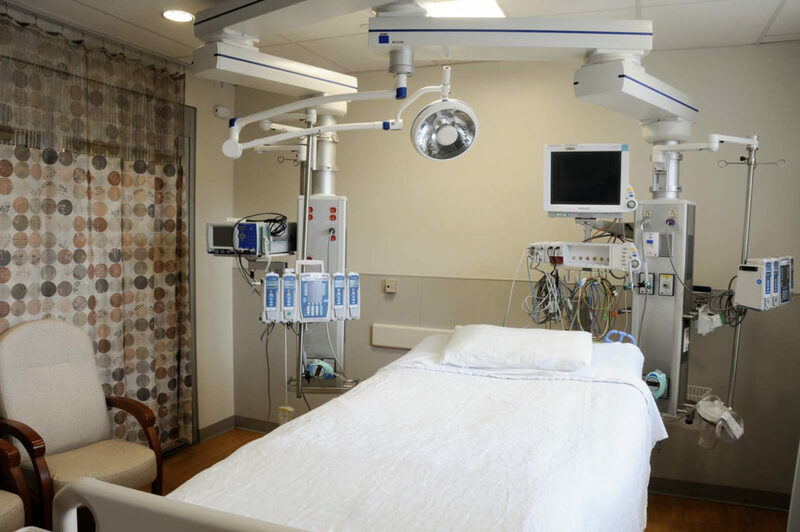 This unit is comprised of 16 single patient rooms in a race track arrangement with direct access to the adjacent surgical suite. 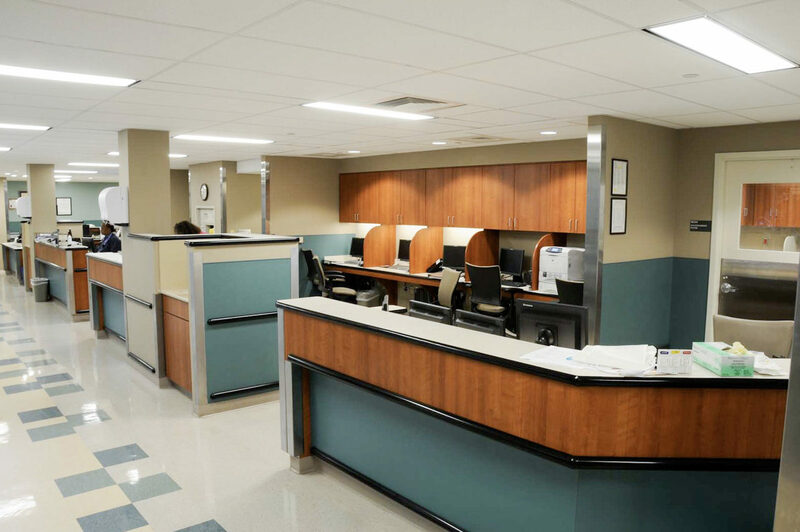 Skylights were installed to bring daylight and sky view to interior rooms, and centralized nurses’ functions provide efficient oversight of patients. 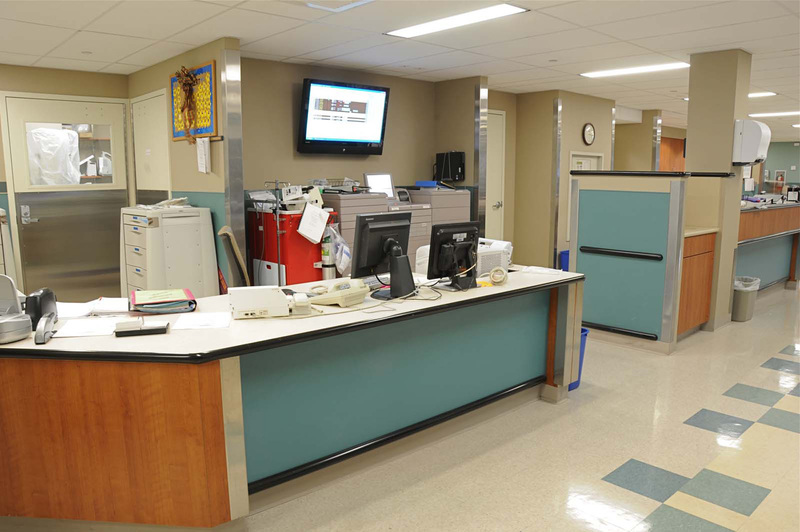 New HVAC and electrical infrastructure serving the SICU were added in the penthouse.